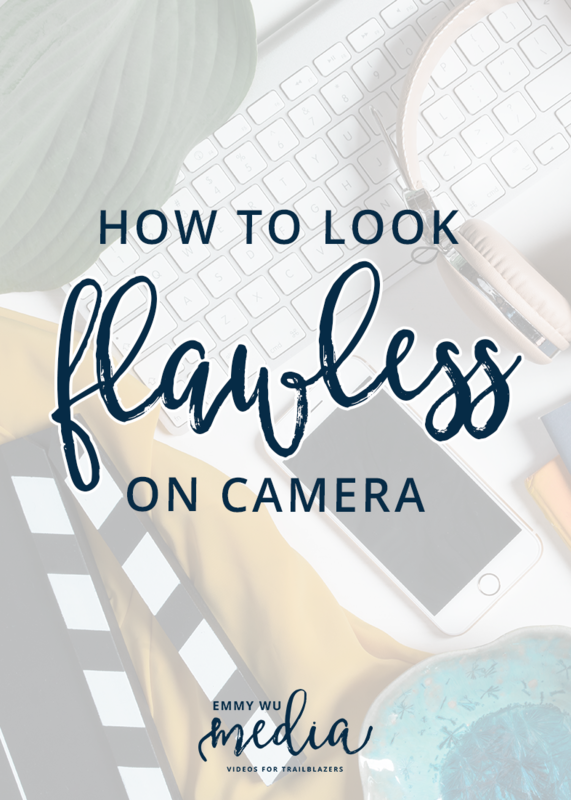 When it comes to looking flawless on camera, there are a couple things in particular we should be paying attention to. But before I dive into the specifics, like lighting and makeup, I wanted to preface this by saying that I know how hard it is to put ourselves on video. And I also know from my own personal experience and working with clients that us women tend to be a lot harder on ourselves than we need to be. How we see ourselves and how we perceive ourselves on video is often a lot harsher than what our audience actually sees. So, knowing that, it’s going to be really, really important for you, as you start to create video content and start sharing your message and putting yourself out there, one of the most important things to do before all the other things is work on your unshakable confidence in your message. The truth is, when you’re magnetic to your audience, when people look forward to seeing your videos, it’s because there’s a confidence that exudes from the inside out. Something about how you hold yourself, how you are sure of yourself, how you are unapologetic about the way that you speak and conduct yourself on camera. That’s what makes you magnetic. So know that if you don’t feel that way in the beginning that’s totally okay, and totally natural; that’s partly why I’m here, having this conversation with all of you! But just know that IS a practice. A practice of BUILDING that confidence. While it’s scary to hit that “GO LIVE” button the first time, and even the first few weeks or months, depending on how you speak and your personality traits, some people might struggle with it a bit more than others. It’s SO important to treat yourself with kindness. If you take anything away from this vlog today, it’s to treat yourself with love and kindness. The truth of the matter is, you’re taking action to get your message out there. You’re SHOWING UP. You are getting out there! And that counts so much more than whether or not you have a perfect presentation and your hair is perfect and your eyelashes are done. That confidence comes from how sure you are in your message. And that helps with doing and being kind to yourself and moving forward.